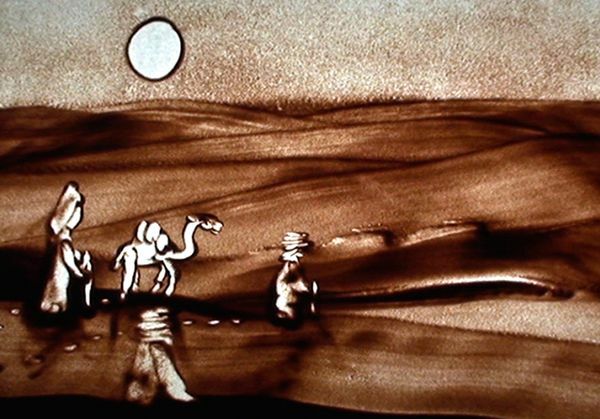 Presentation of a special version of the show "Dunes" by the sand artist David Myriam during a festive evening devoted to a communication agency. 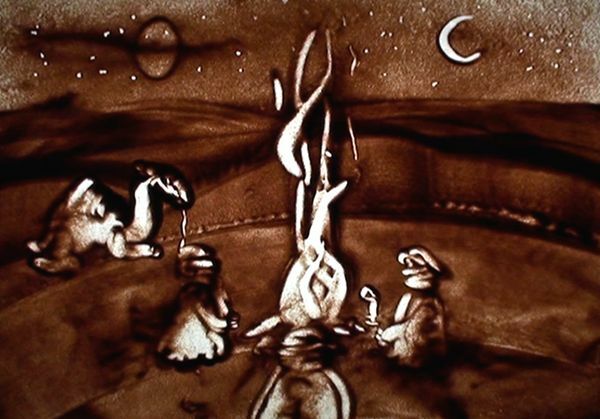 The live sand drawing performance has been projected on a wide screen. 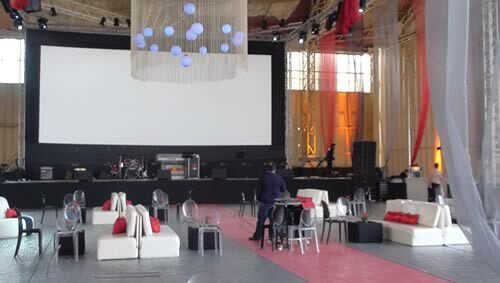 The event was held in a former aircraft hangar with several concerts and artists.